Fall is officially upon us here in Austin. That means it’s time to indulge in pumpkin spice-flavored everything and enjoy the autumn scenery. 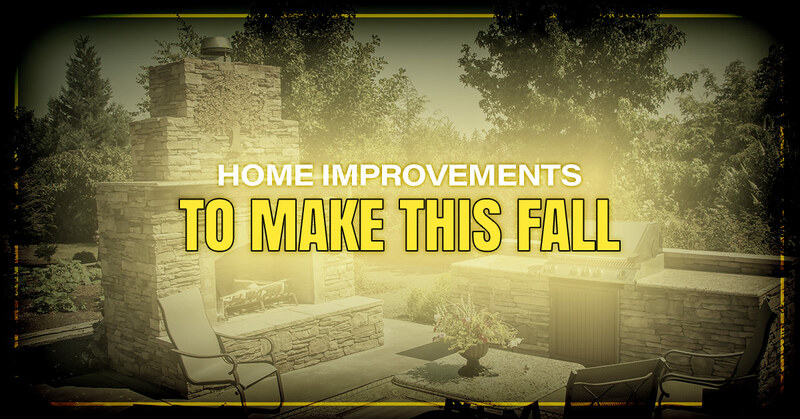 Of course, with the cooler weather, fall also provides the chance to complete those home improvement projects you put off during the summer. A fresh coat of paint on your front door goes a long way. Whether you’re looking to sell your house in the not-too-distant future or you just want to spruce up the exterior before the holidays, this is a great place to start. According to Forbes, painting the front door yields an ROI of anywhere from 80 to 140 percent. It doesn’t really matter if you take it upon yourself to clean the gutters or you hire a professional. What does matter, though, is that the task gets done. Even just a half hour of gutter maintenance could prevent thousands of dollars in damage to a home’s foundation. You can’t put a price on a functionally sound roof. In Austin, we typically see about 35 inches of rain a year. Over time, Mother Nature can wreak havoc on just about any roof, which is why we recommend consulting an experienced roofer regarding leaks and/or cosmetic damage. Think back to the last time you power washed the exterior of your home. If you can’t remember, then chances are it’s overdue for a thorough wash. Believe it or not, the ROI of power washing the exterior tops out at 110 percent. Windows can certainly be a costly investment. However, if your utility bills continue to increase, then you probably want to consider energy-efficient windows. It’s also smart to upgrade your windows if the current ones are at all damaged. Not only is uneven concrete dangerous, but it can significantly decrease the value of your home. At Concrete Leveling Technologies, we take the stress out of concrete repair. The use of polyurethane foam ensures a quick process and unmatched results. As a homeowner, you may be tempted to settle for traditional concrete ‘solutions’ such as mudjacking. Frankly, though, mudjacking is a messy, invasive strategy that only yields temporary results. You can feel comfortable knowing that our concrete contractor does things differently. With poly foam, we require fewer injection points than mudjacking. Once injected into the void, the concrete slabs are raised back to their proper position. It’s not long before you have a nice, flat surface once again. Plus, the foam adds strength and load-bearing capability to the soil beneath, meaning you shouldn’t have to worry about repairs for as long as you own your home. We are proud to be the No. 1 choice for concrete leveling in Austin. This fall, let our contractors resolve your property’s foundation issues. Reach out to Concrete Leveling Technologies today.